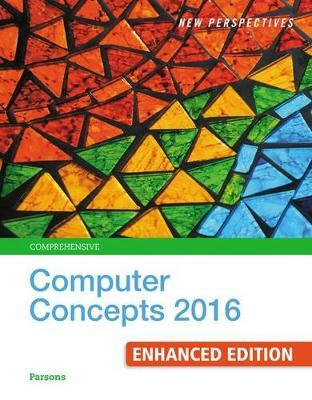 Gain the full understanding of today's digital world with the cohesive framework and logical organization found only in NEW PERSPECTIVES ON COMPUTER CONCEPTS 2016, ENHANCED, COMPREHENSIVE. This dynamic book provides the latest updates on emerging technology with engaging learning features, informative visuals and hands-on activities proven to increase your understanding. An insightful introduction highlights today's digital evolution, while coverage of social media and online security examines concepts behind today's important trends in technology. You gain insights into the underlying principles supporting the wide scope of digital devices in use today with an emphasis on the connectivity that pervades modern life. This Enhanced Edition includes a new hands-on programming chapter that teaches you how to program using Python™.